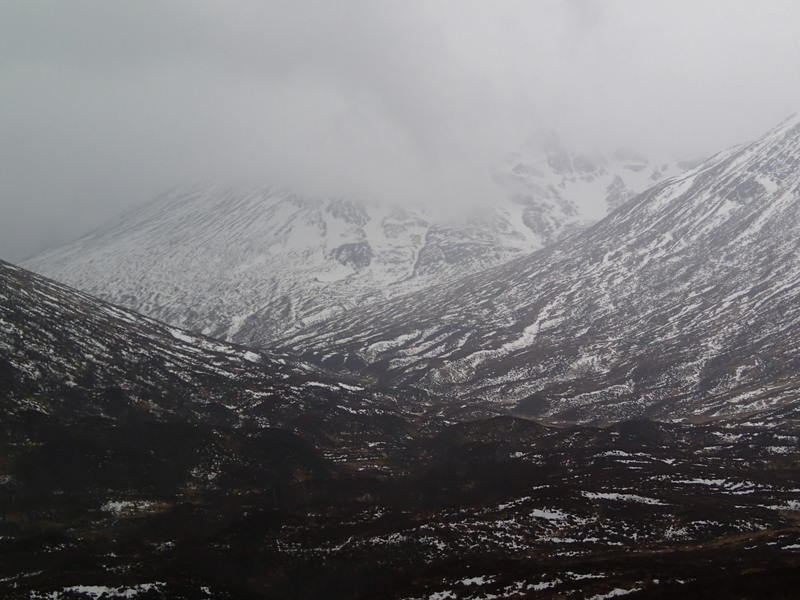 It was a good job that I took a few photos on my way towards Coire Ardair, as during the later morning the cloud base dropped to around 400m with very poor visibility. 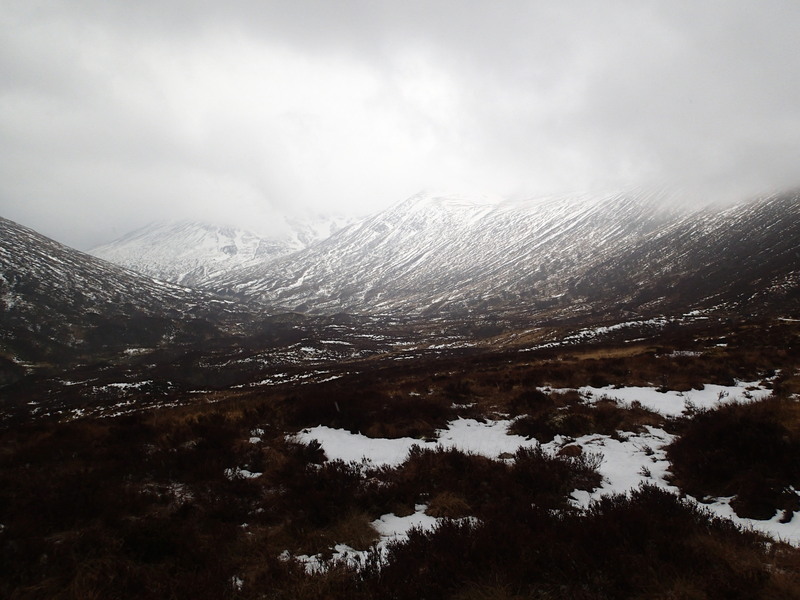 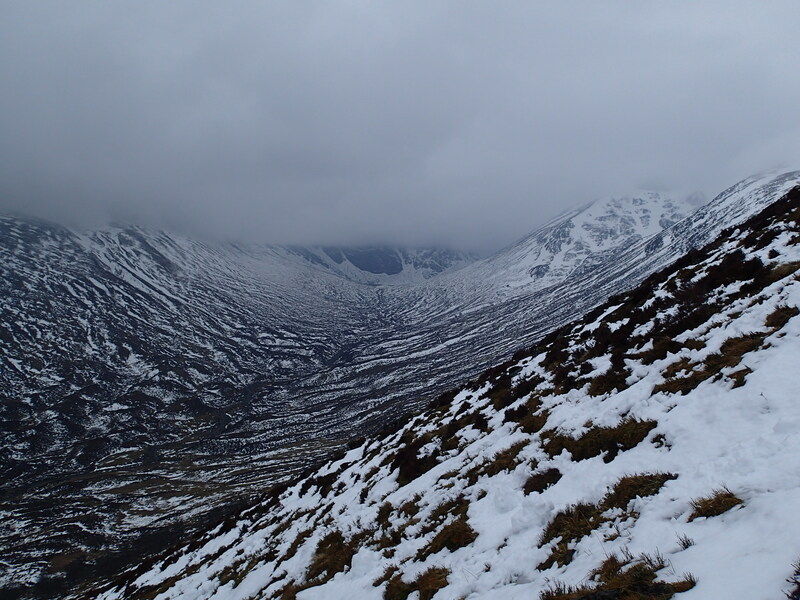 Looking towards Coire a’ Chriochairein from Coire Ardair path. Coire Ardair before the cloud base dropped.